Already for over 35 years, the reliable Boxer engines of the BMW GS models provide powerful propulsion for vast tours and exciting short trips. With the innovative, completely redesigned Boxer engine with ShiftCam technology, BMW’s R1250GS now accomplishes a new level of power and efficiency, reduced and more eco-friendly consumption and emission values and a remarkable optimisation when it comes to running smoothness, refinement and engine torque (100 kW (136 HP) at 7 750 min-1 and 143 Nm at 6 250 min-1). 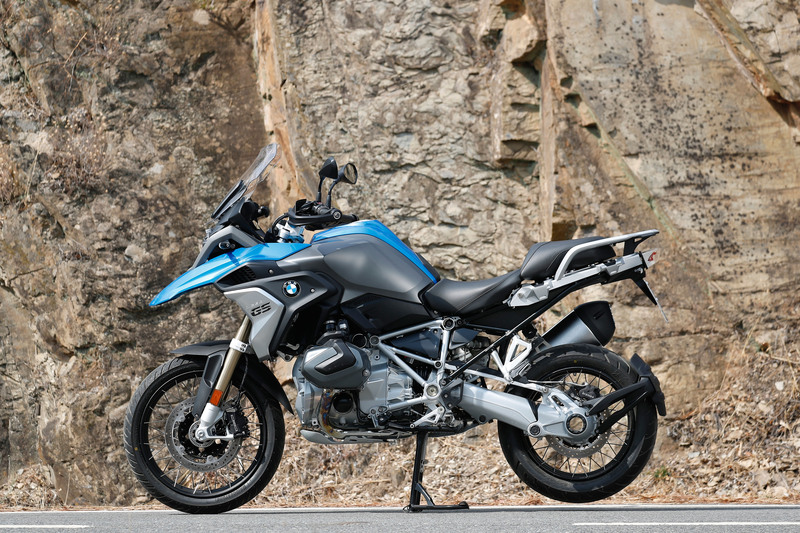 The cylinder capacity of the R1250GS was increased to 1254 ccm, compared to the R1200GS with its 1170 ccm. 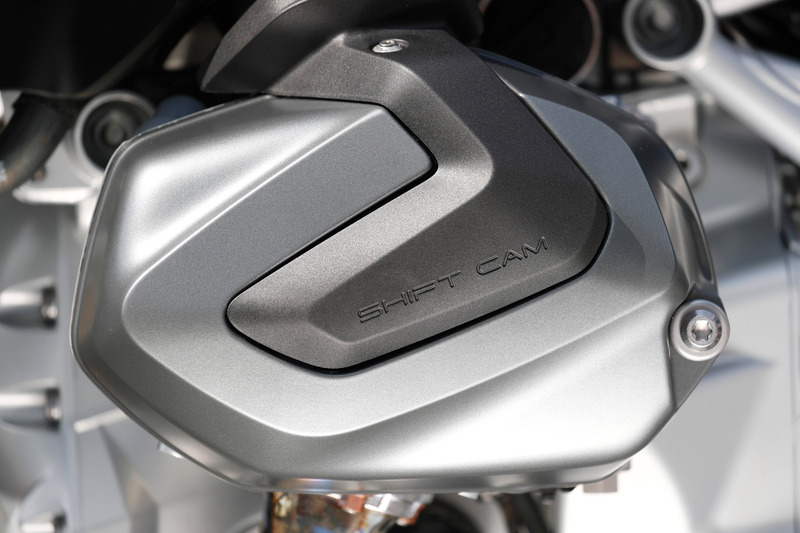 Important characteristics of the new ShiftCam technology are the variation of the valve timings and valve stroke on the intake side, the propulsion of the camshaft drive by a toothed chain (previously a roller chain), an optimised oil supply, twin-jet injection valves and a new exhaust system. Moreover, the intake camshafts are designed for asynchronous opening of the two intake valves, resulting in enhanced swirl of the fresh, incoming mixture and therefore more effective combustion. Two riding modes, the automatic stability control ASC and the set-off assistant Hill Start Control which enables comfortable hill starts are available as standard for the R1250GS. 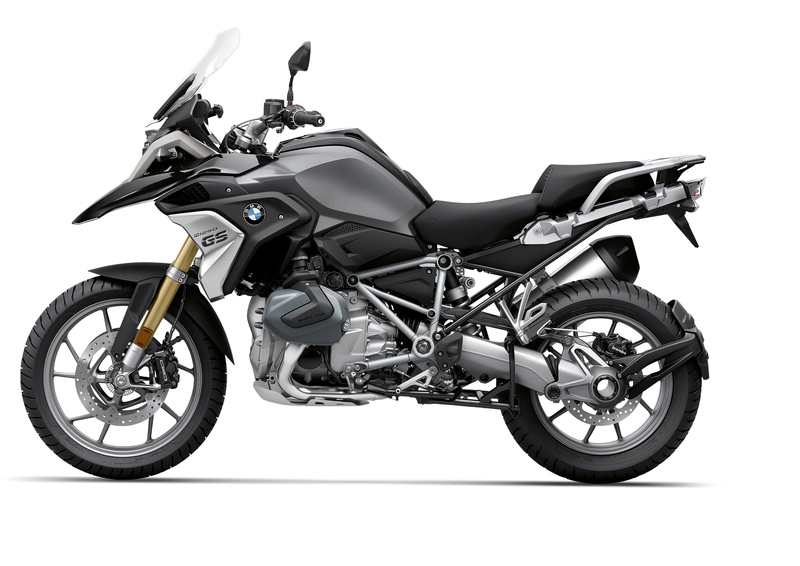 As optional equipment, you can order your R1250GS with the riding modes "Pro" which contain the riding mode "Dynamic", the dynamic traction control DTC and the riding modes "Dynamic Pro", "Enduro", "Enduro Pro", "ABS Pro" and the dynamic brake control DBC, which offers additional security when braking in difficult situations. Another optional equipment is the electronic suspension Dynamic ESA "Next Generation" with automatic compensation in all load states which automatically adapts to the situation according to riding state and manoeuvres. 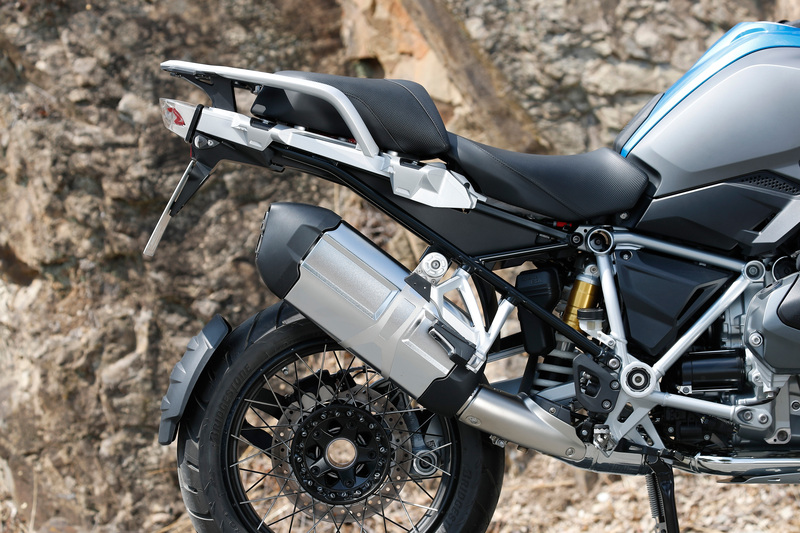 The new R1250GS has a LED headlight as standard and a LED daytime riding light can be added as special equipment. 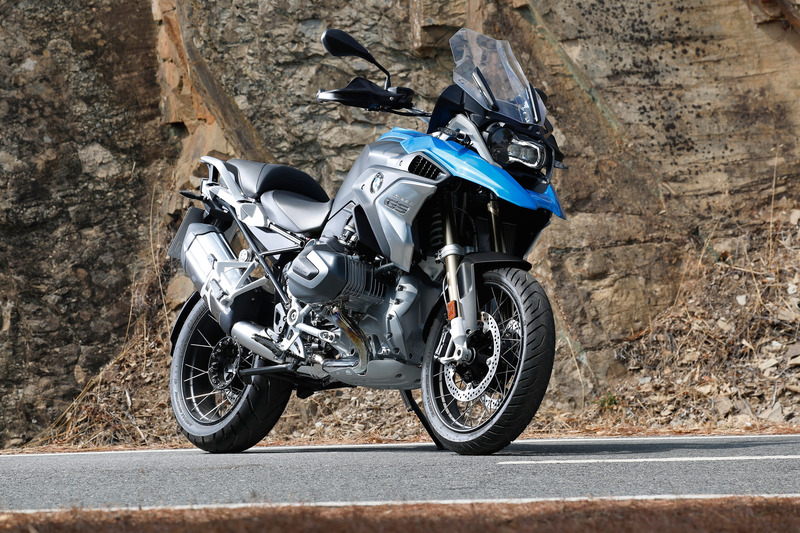 The "Connectivity" program is included in the R1250GS program as standard. 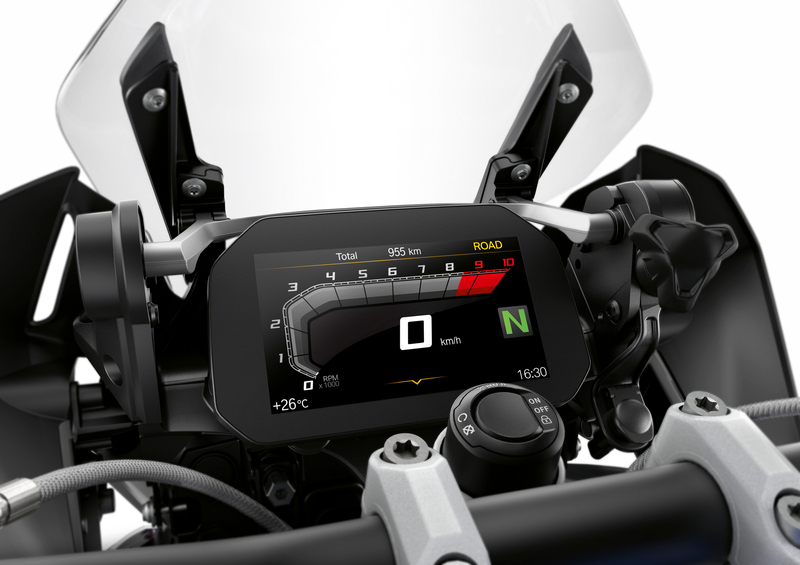 It is a multifunctional instrument cluster with 6.5-inch full-colour TFT screen and numerous features which means that the rider can access vehicle and connectivity functions particularly swiftly and conveniently. Moreover, the intelligent emergency call can be ordered as optional equipment item and offers the fastest possible assistance in the event of an accident. 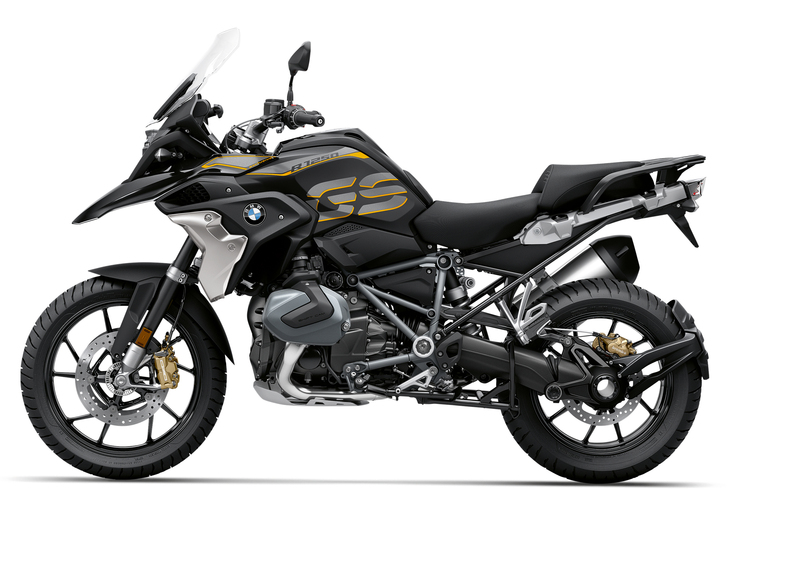 The "BMW Motorrad Spezial" program is also available optionally: BMW R1250GS owners can for example choose between the billets packs option 719 Classic and HP and a HP sports silencer is likewise available ex works. 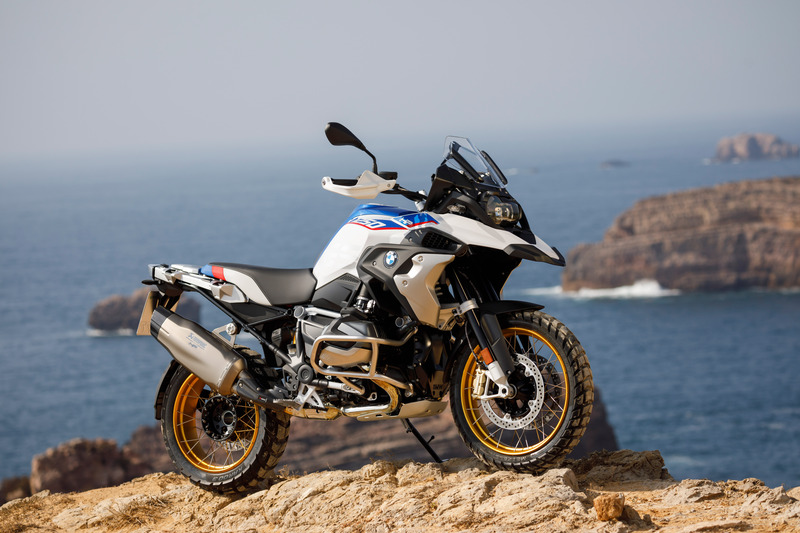 When it comes to design aspects, the new BMW R1250GS convinces with two modern basic colours and two striking style variants highlighting its touring and offroad capacities.